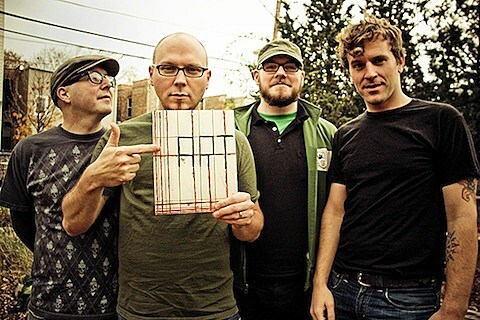 On Thursday night (May 10), at 6PM, Chicago’s Smoking Popes will play a FREE show in the Dr. Martens store on N. Milwaukee Ave. (what used to be the fantastic Earwax Cafe). There will be food, drinks courtesy of Goose Island, and a chance to win a pair of DM’s. No RSVP necessary but the store does have limited space. Smoking Popes are set to release their version of a Peel Session, Complete Control Sessions EP, on May 22nd via SideOneDummy. The EP was the idea of Complete Control Radio host (and SOD owner) Job Sib, who had the band play two new songs (“Lets Call It Love” and “Hey Renée”), two older cuts (“Writing A Letter” and “Grab Your Heart and Run”), and a cover of “I Dreamed a Dream” from Les Misérables. A double 7″ version of the EP is up for preorder now and will ship on May 18. Stream the EP in its entirety via Alternative Press. Catch the Popes’ at Metro on June 7.